Children are recommended to start learning a foreign language as early as possible. 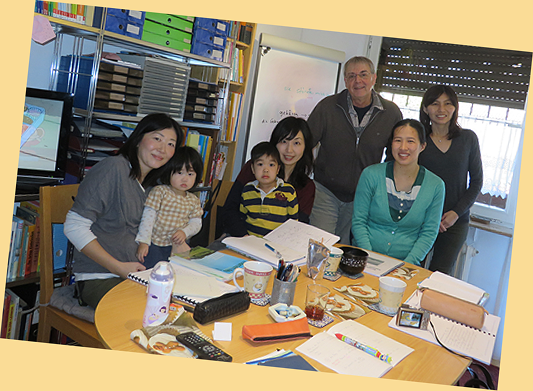 Starting from the natural source of language, its sound, by listening - our native speakers lead them soon to a veritable skill of ドイツ語会話, having lots of fun. 3 to 6 years: Children start playing first dialogues with dolls and each other, acting out little plays, playing games, singing little German songs, painting motives and making things out of paper. By that as well as using a lot of additional material they get used to a regular communication ドイツ語会話. Using the Workbook Tamtam - Erster Kontakt Deutsch für Kinder (Hueber) or Fabuli Student's book + Workbook (Klett) – we support this process – beginning at the age of 4 to 5 - by introducing German letter by letter with many listening activities, paintings, stories, speaking events and writing exercises. Optional for those who have already completed Step B1, we additionally provide materials for Junior High School students which lead them to advanced skills. 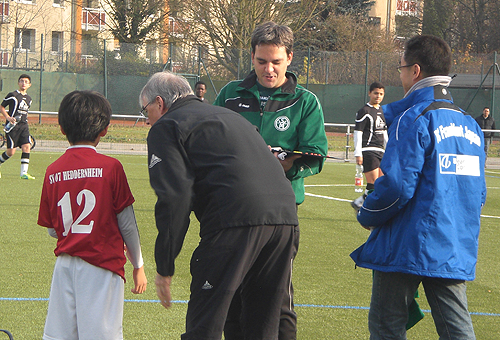 Very often children’s motivation to learn German in Germany is their interest in sport activities like soccer/football, table tennis etc. We especially support them on one hand by raising their language skills to manage the team communication and on the other hand by visiting their training or matches and keep in touch with their club coaches to provide a helpful frame of ドイツ語会話. 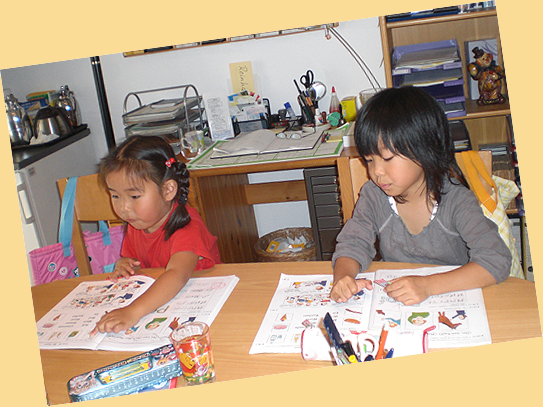 Also for children each level of “Diplom Deutsch in Japan” (独検step 5 to 1) can be prepared. Let them meet the challenge! All our classes develop your skills by turning listening into speaking, reading into speaking and writing, while raising your range of vocabulary and your comprehension of grammar to reach a complete communication skills. Regarding our choice of materials we want to point out that other appropriate materials can be used on request as well, particularly concerning those students who have used different material somewhere else so far and want to continue studying with us. Please come and find out about the appropriate level for your studies or about freshening up your German by using our consultations and placement tests for free. Let’s get in ドイツ語会話 ! Option 1: The smooth way is for real beginners getting into the communication of the every-day-life in Germany using the course Schritte plus Vorkurs (hueber). Option 2: Using the language course Schritte plus 1+2 (Hueber) you get introduced to the basic topics of German communication, studying the structure of main clauses, the grammar of nouns and verbs and every day expressions. You will be able to manage the situations of daily life in German talking in present and past tense. The progress with the Textbook (Kursbuch) will be supported by exercises in the Workbook (Arbeitsbuch), many listenings on CDs and will be completed by our homemade additional material for targeting of your Free Talk Skill ドイツ語会話 . 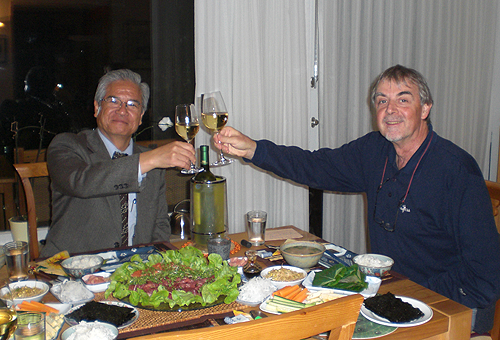 In addition we exclusively provide our bilingual Reader ドイツ語をもっとわかりやすく(German-Japanese) – a result of over 20 years of experience in teaching Japanese Residents - which leads you with the well-known lingual and cultural differences in mind page by page, step by step through the Textbook program. It also contains a special instruction of phonetics rules for exercising the correct pronunciation of German. Would you like to underpin your German skills you have acquired so far? You can do this by undertaking the German Test Start Deutsch 1 or the Diplom Deutsch in Japan (独検) step 5 to 4. We help you prepare for them. Using the language course Schritte plus 3+4 (Kursbuch + Arbeitsbuch) (hueber) you will progress to the language structure of subordinated clause, to the grammar of verbs regarding the passive voice and conditionals and those communication skills based on them. Our additional material will support you to reach the Free Talk Skill ドイツ語会話 on that level. In case you want to check your level regarding step A2, we will take care of your preparation for the German Test Start Deutsch 2 or the Diplom Deutsch in Japan (独検), step 4 to 3. Using the language course Netzwerk B1 (Klett) or Schritte plus 5+6 (hueber) we lead you to the end of “Grundstufe Deutsch”, the basic step of learning German. On request we provide preparation for the new German Test Zertifikat Deutsch/B1 or the Diplom Deutsch in Japan (独検), step 3 to Pre-2. We provide lessons for all the following steps of German studies according to the Common European Framework of Reference of Languages (“Europäischer Referenzrahmen”) and the “Goethe Institut” Germany. 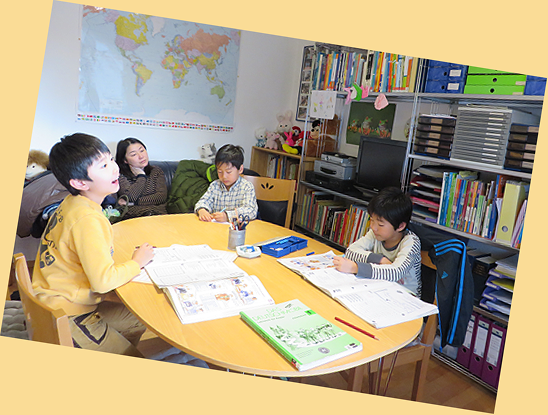 Step B1+ and B2: Challenging the German Language on the Intermediate Level with the option of preparing for the Goethe Zertifikat B2 or the appropriate level of Diplom Deutsch in Japan (独検), step Pre-2 to 2. Materials: Mittelpunkt neu B1+ and Mittelpunkt neu B2 (Klett) or SICHER! B1+ / B2 (hueber). Step C1: Targeting German Language skills on the Advanced Level we provide lessons using Mittelpunkt neu C1 (Klett) or SICHER! C1 (hueber). Optionally you can receive preparations for the “Goethe Zertifikat C1” or the appropriate level of Diplom Deutsch in Japan (独検), step 2 to Pre 1. Step C2/DSH: Do you want to enter a German University? In our class we focus on providing you with the language skills you need for passing ‘The German Language Test for University Access’ (“Deutsche Sprachprüfung für den Hochschulzugang”) DSH. Materials: Mit Erfolg zur DSH (B2 – C2), Neue Ausgabe, Übungsbuch and Testbuch / CDs (Klett) or Fit fürs Goethe - Zertifikat / Fit für die DSH (hueber). 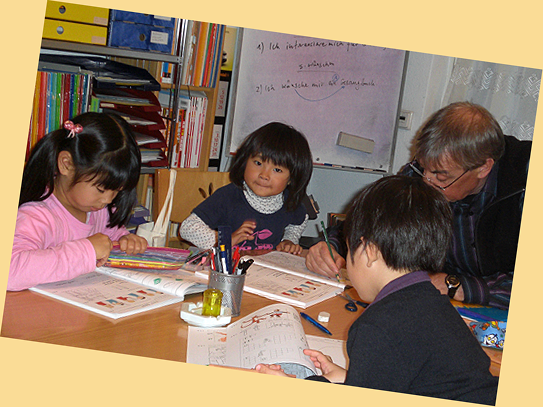 KDS/GDS: On request we also provide lessons for challenging “Kleines Deutsches Sprachdiplom” (KDS) and “Großes Deutsches Sprachdiplom” (GDS). Optionally you can study with us in order to reach 独検, step 1. Please talk to us in case you want to get ready for a job in Germany. We lead you to the communication skills you need according to your job interest. Together with you we plan the appropriate materials regarding the job you want to find. For employees we provide classes in the evenings or at the weekends.